MADE IN THE USA. Designed and manufactured in our own factory guaranteeing that you are getting the best product without the risk of unknown and unwanted contaminants, using only the highest quality materials and standards to ensure kids have endless fun, and parents and teachers have piece of mind. All Do A Dot Art! markers are GLUTEN FREE and LATEX FREE. Do A Dot Art! Where imagination begins with a little dot. 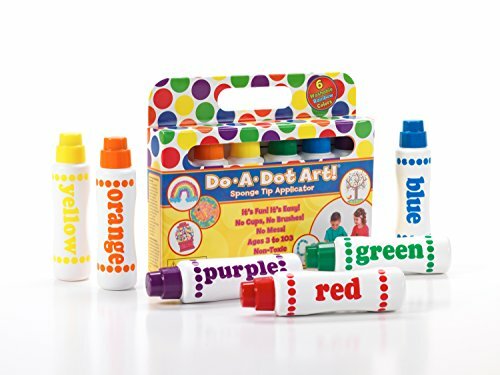 For the past 24 years kids all over the world have been “dotting” with Do A Dot Art! The Original Dot Marker. Do A Dot Art! 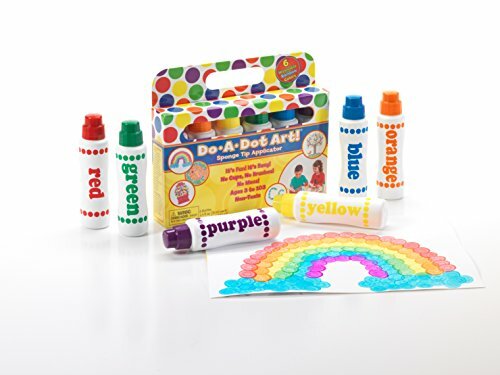 has become a staple art product in homes and preschools around the world. 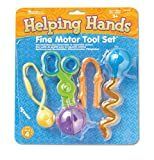 Parents and teachers love that its so easy for their children to create fun, imaginative open ended works of art, with limitless possibilities by simply twisting off the cap and letting imaginations run wild. Do A Dot Art! is designed and manufactured in the USA using only the highest quality materials and tested to the highest standards. Rest easy knowing your children are using quality products manufactured in our own factory and packed with love and care. Arts and crafts just got easier, and cleaner, with Do A Dot Art! Each marker has a large sponge tip dauber that will never dry out, and makes a perfect dot every time. Do A Dot Art! markers have bold pigments and bright colors that dry fast. Perfect for layering, blending, mixing colors, and covering a lot of space. Do A Dot Art! Rainbow set comes with 6 washable markers, red, orange, yellow, green, blue, and purple. Come see why Do A Dot Art! is the number one art medium used in preschools and elementary schools around the world! Arts and crafts just got easier, and cleaner, with Do A Dot Art! The Original Dot Marker. Do A Dot Art! 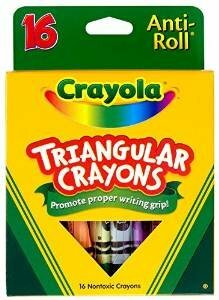 Rainbow set comes with 6 WASHABLE markers. Each marker has a PATENEDED large sponge tip that will never dry out, and makes a perfect dot every time. Do A Dot Art! markers have bold pigments and bright colors that dry fast. Perfect for layering, blending, mixing colors, and covering a lot of space. Do A Dot Art! markers are incredibly beneficial for teaching young children the benefits of layered learning. They are the perfect art medium for those seeking arts and crafts that spark creativity and inspire open-ended unscripted play. Come see why Do A Dot Art! is the number one art medium used in preschools and elementary schools around the world! Do A Dot Art! Where Imagination Begins With A Little Dot. 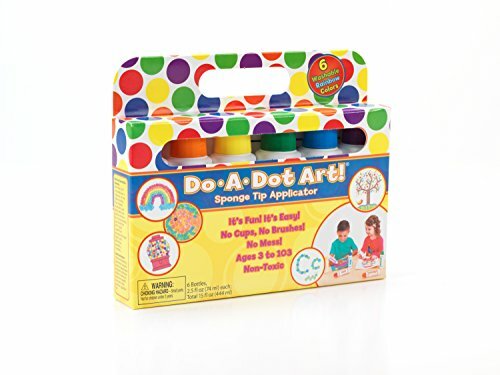 For the past 24 years kids all over the world have been “dotting” with Do A Dot Art! Do A Dot Art! 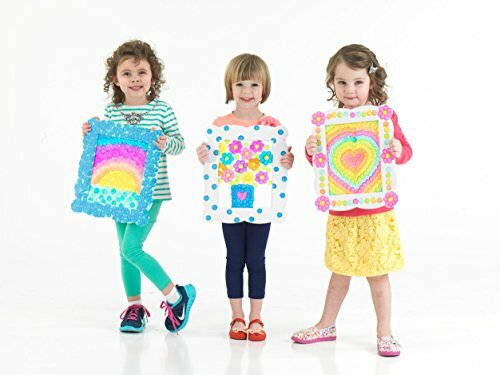 has become a staple art product in homes and preschools throughout the world. Parents and teachers love that its so easy for their children to create fun, imaginative open ended works of art, with limitless possibilities by simply twisting of the cap and letting imaginations run wild. Do A Dot Art! is designed and manufactured in the USA using only the highest quality materials and standards. Rest easy knowing your children are using quality products manufactured in our own factory and packed with love and care. Theraplay is a specialized sensory gym and therapy clinic providing pediatric physical therapy, occupational therapy, speech therapy, and play therapy. We believe that all children are unique and deserve a treatment plan that is specific to their individual needs using fun and play to facilitate function and progress. 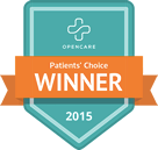 Voted one of the best New York practices in Physical Therapy for 2015. Copyright © 2016: Theraplay NYC. All rights reserved.